The Mazzi estate has been in the family since the early 1900s and lies on the hills of Negrar, one of the five towns in the area of the classic Valpolicella. In the 60s, after finishing his agricultural studies, Roberto Mazzi started to bottle wine under the name of Sanperetto, already subdividing the production after the name of the vines. The vineyards are located in an excellent position on the hills of Calcolare, Castel, Poiega, Sanperetto and Villa. 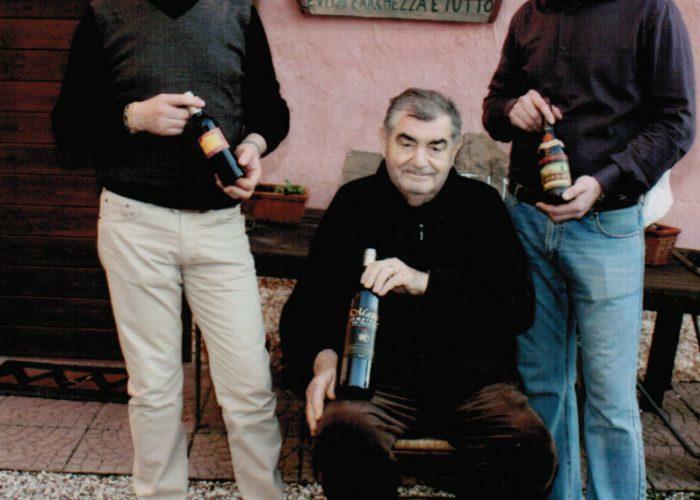 The estate is now run entirely by his sons, Stefano and Antonio, who combine tradition with innovation to produce Valpolicella Classico Superiore, Amarone and Recioto della Valpolicella Classico. Their property is located within 300 meters of the renowned Quintarelli winery. The Mazzi's strive for pure fruit, elegance and restraint in their wines rather than the highly extracted, massive style often found in wines of this region. The vineyards mainly include classical varietals of the area: Corvina, Rondinella and Molinara, grown with low yields per hectare already since the end of the sixties. Vineyard Management: Although they are not certified organic, Mazzi practices organic agriculture. Copper and sulfur-based products are used to manage fungi. Integrated insect and disease control is followed, and while the need for insecticides is rare (and monitored through pheromone traps), only biological, bacterial-based products (that attack specific pests) are used. Only organic fertilizers are used. In certain areas natural cover crops (grass cover) are left between the rows of vines depending on the type of soil. In the other areas the soil is tilled. Low doses of SO2 are used to preserve the wines.